The Calder Coaches website is maintained for your personal use and viewing. Please read our conditions of use carefully. Accessing and using this website constitutes acceptance by you of these conditions. We reserve the right to change the conditions of use at any time . We advise you to review the conditions of use on a regular basis. Accessing and using this website after such changes have been posted constitutes acceptance by you of these conditions. Calder Coaches, will take every care and precaution to ensure that the contents and information it publishes on this website is accurate and up-to-date. Unfortunately we cannot guarantee the accuracy of contents or information contained in its pages and any person using information contained in them does so entirely at their own risk. Please be advised that you should verify the accuracy of any information before acting upon it. Calder Coaches, also reserve the right to change information at any time without notice. The Crown copyright protected material (other than departmental logos) may be reproduced free of charge in any format or medium for research, private study, web-based discussion, or for internal circulation within an organisation. This is subject to the material being reproduced accurately and not used in a misleading context. Where any of the Crown copyright items on this site are being republished or copied to others, the source of the material must be identified and the copyright status acknowledged. The copying and use of the Calder Coaches logo is not permitted without prior approval of Calder Coaches. The site operators make every effort to check and test material at all stages of production. It is always wise for users to run an anti virus program on all material downloaded from the internet. 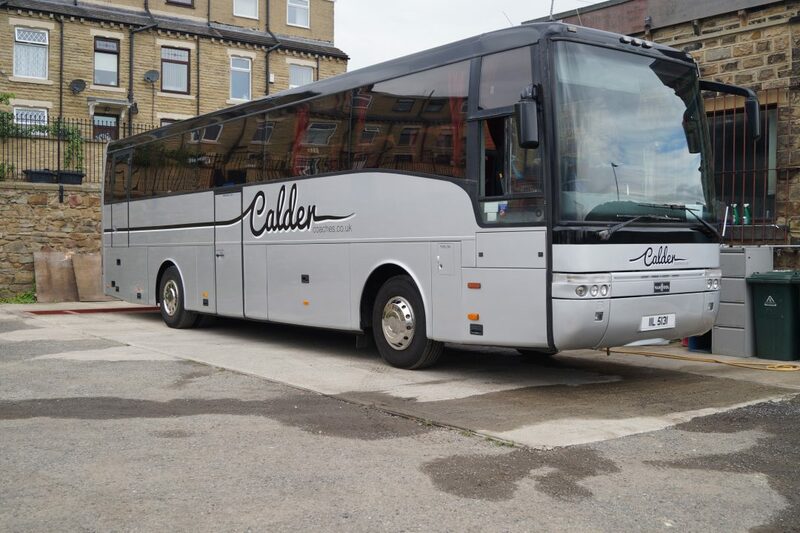 Calder Coaches cannot accept any responsibility for any loss, disruption or damage to your data or your computer system which may occur whilst using material from this website. Calder Coaches is not responsible for the contents or reliability of the external websites and does not necessarily endorse the views expressed within them. Links to external sites should not be taken as endorsement of any kind. We cannot guarantee that these links will work all of the time and we have no control over the availability of the linked pages.